When her own children were young, Mary had a LifeWays home program with such a long waiting list that she decided a LifeWays center was necessary. In 2002, she opened LifeWays Early Childhood Center in Milwaukee where she served as director for 13 years. Mary has a business degree from University of Wisconsin-Madison and was a student in the very first LifeWays training. 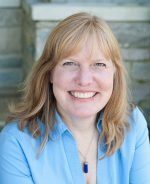 She is a lead teacher and Training Coordinator for LifeWays North America and serves as Board President, and in 2010 co-authored Home Away From Home: LifeWays Care of Children and Families with Cynthia Aldinger. Mary’s favorite thing about LifeWays is seeing both children and their caregivers thrive in a home-like environment that truly values and respects them. Rhoda Kambandu currently lives in Green Bay, Wisconsin with her husband Steve and their four daughters. Rhoda is passionate about working in early childhood. 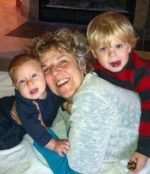 She was the Parent/Child Teacher at Tamarack Waldorf School in Milwaukee, WI for five years, and concurrently taught preschool at LifeWays Milwaukee for three years. Rhoda completed her LifeWays training in Milwaukee and then went on to become a lead kindergarten teacher at Tamarack for two years, before relocating with her family to Green Bay. Rhoda found her work with LifeWays and Waldorf to be profound and inspiring. She joined the LifeWays Board of Directors out of a desire to help carry forward the work of providing quality childcare for children and loving support for parents. Cynthia founded LifeWays North America in 2001. Author of the book Life is the Curriculum and co-author of the book Home Away From Home: LifeWays Care of Children and Families, Cynthia has lectured and presented internationally and is pedagogical director for trainings and seminars across the United States. She served fourteen years on the board of the Waldorf Early Childhood Association of North America. A former Waldorf Kindergarten teacher, Cynthia received her Waldorf teaching certificate at Emerson College in Sussex, England. A mother and grandmother, Cynthia’s passion is the preservation of the playful spirit of childhood and helping to create home-like environments that provide the comfort, security and activities found in a healthy home. Marianne is the Director of the California Coast LifeWays Early Childhood Training. She has been involved in Waldorf education for over 40 years as a mother, early childhood teacher and facilitator of Waldorf parenting groups. She holds a B.A. in English and attended Emerson College in England, a center for Waldorf teacher training. Much of Marianne’s focus and interest has been on all things early childhood. She was a co-founder of The Ark (Fair Oaks, CA) in 1977, one of the first Waldorf toy stores in North America. The growing interest in Waldorf education in this country led her to become the first Managing Editor of Renewal, A Journal for Waldorf Education. 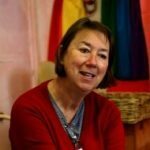 For 15 years Marianne developed and led parent support groups in the Sacramento, CA area and for 8 years she taught in the San Francisco Waldorf School Parenting program. She is also the Administrator of the Online Waldorf Library www.waldorflibrary.org , a website for Waldorf educational resources. She and her husband, Dave, have two Waldorf educated adult children and three adorable grandchildren. Ashley's life has revolved around working with children and their families. After growing up in her mother's home care program, she obtained a degree in Art Education and taught in public schools. During this time, she felt a strong pull towards early childhood education. She went on to become a preschool teacher, Director of a large childcare center, student of Anthroposophy and Board member for two Waldorf school initiatives (in CO and NC). 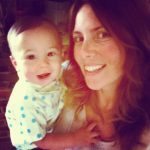 Ashley worked at the Santa Fe Waldorf School, was the lead Waldorf early childhood teacher at Azalea Mountain School, led parent-tot classes and operated a home-based LifeWays summer playgroup. Now homeschooling her two sons, Ashley continues to incorporate her LifeWays work into their daily lives. She is thrilled to help bring the LifeWays training to western NC, a dream since she completed her training in 2010. Ashley also enjoys traveling, gardening, hiking, handwork, and shooting slingshots with her husband and boys. In addition to serving on the Board, Ashley works as Student Services Director of the LifeWays Trainings in Asheville, North Carolina.